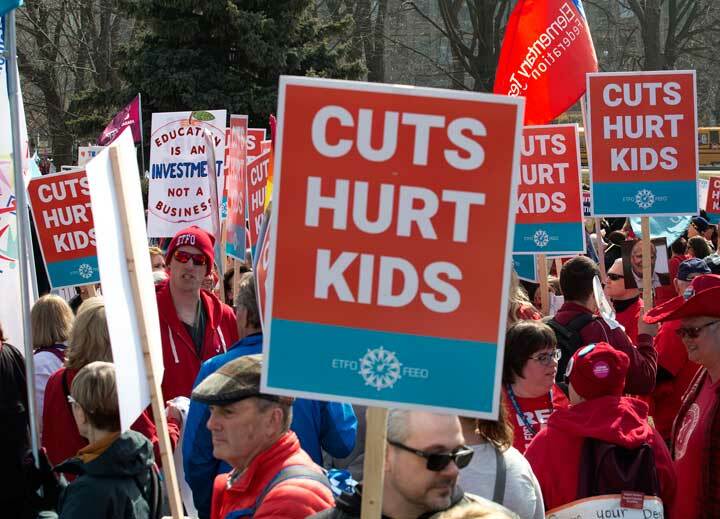 Educators and supporters protest education cuts at the massive Queen’s Park rally on April 6. 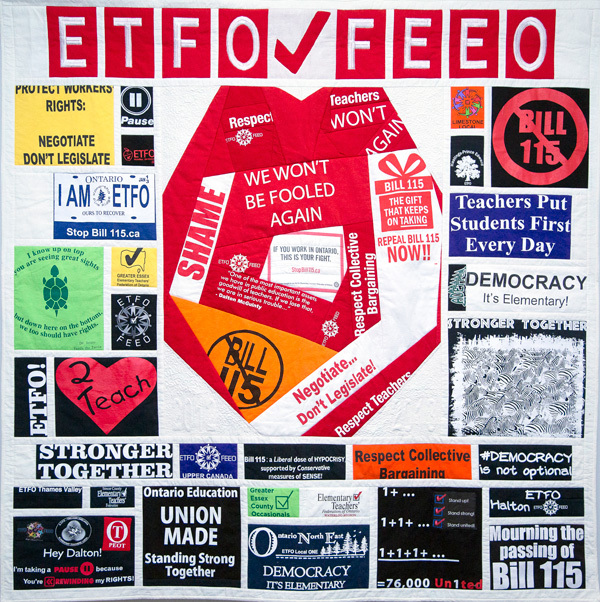 Toronto, ON – The Ontario government’s 2019 budget for public education does not meet the needs of students and schools, according to the Elementary Teachers’ Federation of Ontario (ETFO). “Allocating funds for teacher professional learning in mathematics is welcome, but let’s be clear, math instruction in Ontario is not in a crisis despite what this government is saying.” Ontario’s students continue to outperform students from around the globe. “Ontario has the lowest per capita spending of any province, yet this government is intent on reducing the deficit on the backs of students and families. Ontario doesn’t have a spending problem; it has a revenue problem,” added Hammond.